Bear Stuck in Garbage Box Video - Treehouse by DesignTreehouse by Design - So, you thinking about building a tree house? 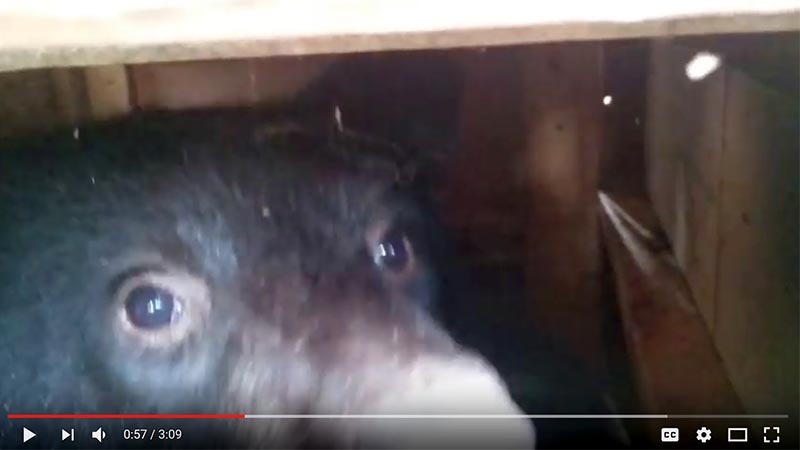 This little survivalist bear cub got stuck raiding the outdoor garbage and an adventurous owner works to release him while the momma bear looks on. When working in the woods always be aware of your surroundings — the person didn’t know the momma bear was so close by and watching — and the outcome could have been different if the cub cried an alert or was in pain for any reason.